Stanford University is launching a new institute with the mission to "advance artificial intelligence research, education, policy and practice to improve the human condition." The Stanford Institute for Human-Centered Artificial Intelligence (HAI) will partner with industry, governments and non-governmental organizations to study, guide and develop human-centered AI technologies and applications, as well as create a community of advocates devoted to a better future for humanity through AI, according to a news announcement. The work will cross sectors including technology, financial services, healthcare and manufacturing. Leading the institute are John Etchemendy, professor of philosophy and former Stanford University provost, and Fei-Fei Li, professor of computer science and former director of the Stanford AI Lab. HAI is launching with 200 faculty participants from across the university, with plans to hire 20 new faculty with a focus on interdisciplinary work in a variety of fields. In addition, the institute will "house research fellows, convene groups of professionals to solve critical issues to humanity and distribute funding to spur novel research directions," the announcement said. Projects already underway include an effort to assist the resettlement of refugees; a system to improve healthcare delivery in hospital intensive care units; and a study of the impact of autonomous vehicles on social governance and infrastructure. "Stanford HAI expects to become an interdisciplinary, global hub for AI learners, researchers, developers, builders and users from academia, government and industry, as well as policymakers and leaders from civil society who want to understand AI's impact and potential, and contribute to building a better future," the university said in a statement. 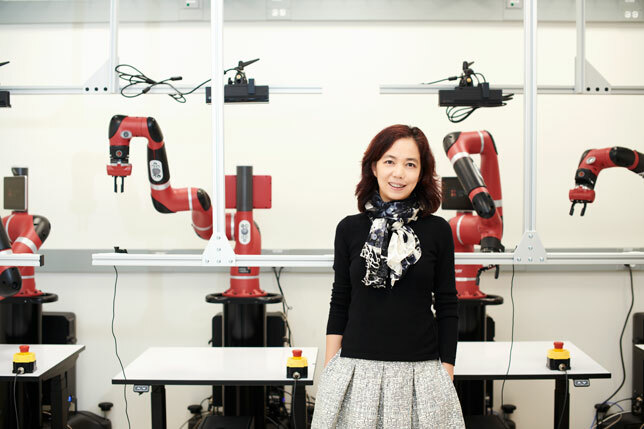 "[HAI's] biggest role will be to reach out to the global AI community, including universities, companies, governments and civil society to help forecast and address issues that arise as this technology is rolled out," said Etchemendy. "We do not believe we have answers to the many difficult questions raised by AI, but we are committed to convening the key stakeholders in an informed, fact-based quest to find those answers." "AI is no longer just a technical field. If we're going to make the best decisions for our collective future, we need technologists, business leaders, educators, policy makers, journalists and other parts of society to be versed in AI, and to contribute their perspectives," noted Li. "One beautiful thing about this world is that it's made of people of all walks of life and diverse backgrounds. We need all kinds of people to participate and shape our collective future."